Based on the feedbacks from users of RaiseTouch version 0.9.10, we have added a few new features and fixed a bug with the new version. Here we release the RaiseTouch version 0.9.11. Fixed the issue that ideaMaker does not keep the same sort order of files as the one on touchscreen. Added Extruder Offset Settings for N series printers. Added an option to choose Single or Dual version of motion board firmware update under Maintenance. Added more information into serial log. Adjusted preheating sequence to let the heated bed heating together with nozzles for Pro2 series printers. 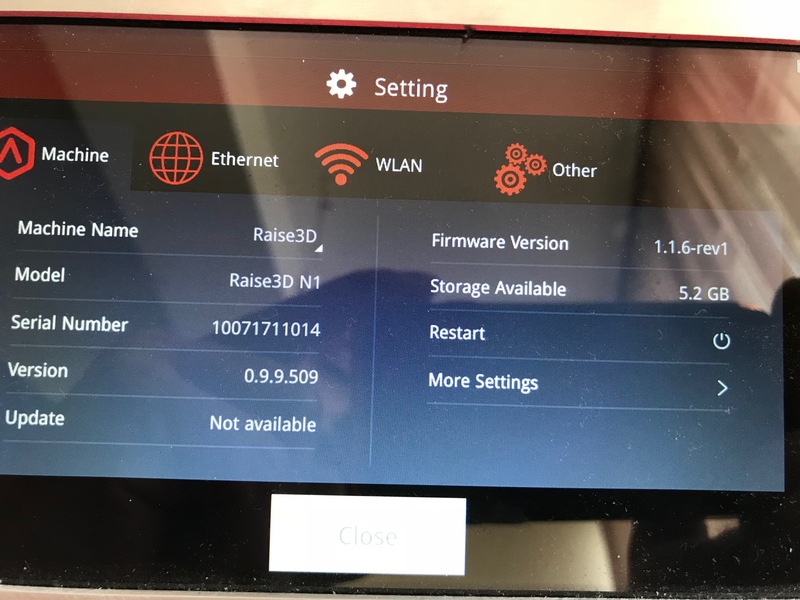 Added an option to disable the password to get access the remote control the touchscreen from ideaMaker when Remote Access without Password under Setting -> More Settings -> Privacy and Security disable. If you disable this option, you need set a password for remote control. Added an option to set the Z position of print bed dropping to after print stopped under Setting -> More Settings -> Advanced Settings. Added an option to set whether WLAN Password is allow to be seen or not under Setting -> More Settings -> Privacy and Security. Added Auto Negotiation, Port Speed, Duplex Mode as advanced settings for Ethernet tuning under Ethernet setting page. They will be available when Enable Advanced Settings enabled. Once the Enable Advanced Settings under Ethernet tab being disabled, the Advanced Settings of Ethernet will be set back to default values. The option 1 and 3 listed above can take effect once after reboot the printer. Added temperature check for CPU of screen logic board under Maintenance. Fixed preheating issue after resuming a print. Or with Cool down after a print paused enabled, the print may directly start without preheating first. We have released the new version of RaiseTouch 0.9.9 today. Makes me sad as a non-pro owner. While connection authentication appears to work, only asks once ever for password and is your SSH password. Think about that for a second... you just gave away your SSH password. This makes me think Ideamaker is storing your SSH password somewhere. Again, have to be honest here, as a non-pro owner, I see a trend here. Camera begged for, asked for since the kickstarter, not implemented for anyone but a Pro2 series owner. The second interesting twist, especially for folks who own more than one printer like a printer farm, the whole concept of storing the nozzle offsets in the printer for a dual extruder. The idea here is, since the printer itself has a mechanical offset specific to that printer, rather than the current method where the ideamaker profile contains the offset and offsets the gcode, this means that profile and that gcode file only is tuned for that printer. Conversely, storing the offset in firmware, and invoking a toolchange firmware applied offset function, this means the profile and gcode is universal (both extruders use same origin and no offset) and you tune the offset on the printer. Again, there is zero reason why this could not be done on a non-pro series with a simple firmware, and yet, all these owners are left in the dark. Curiously, could we be more specific? Added a firmware upgrade wizard in Maintenance under Other - I consider this a feature add, in theory a way to better manually select a specific update file and potentially roll back or update versions. Added a Reconnect Serial Port button in Maintenance under Other -> Safe Mode - What this does, in theory, is forces enumeration of the motion board USB to serial port, thus in rare situations, a way to attempt to restore communications without powering down the entire system. Only affects a very small subset of troubleshooting scenarios. Added a Turn on filament sensor option under Advanced Settings- Nice feature for those who add filament detection. However, being buried until multiple menus, I can see where this being on the Tuning screen would be a lot more useful. Added a Cool down after a print paused setting under Advanced Settings - again, nice new feature requested by some users. 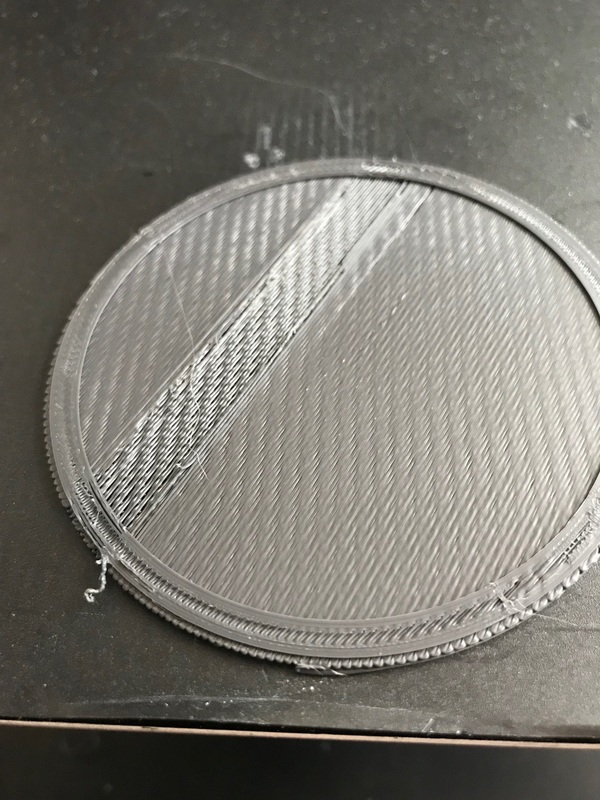 Added auto-preloading filament before unloading (for Pro2 series printers)- I'd call this a bug fix for Pro2 series, non-pro already had this. 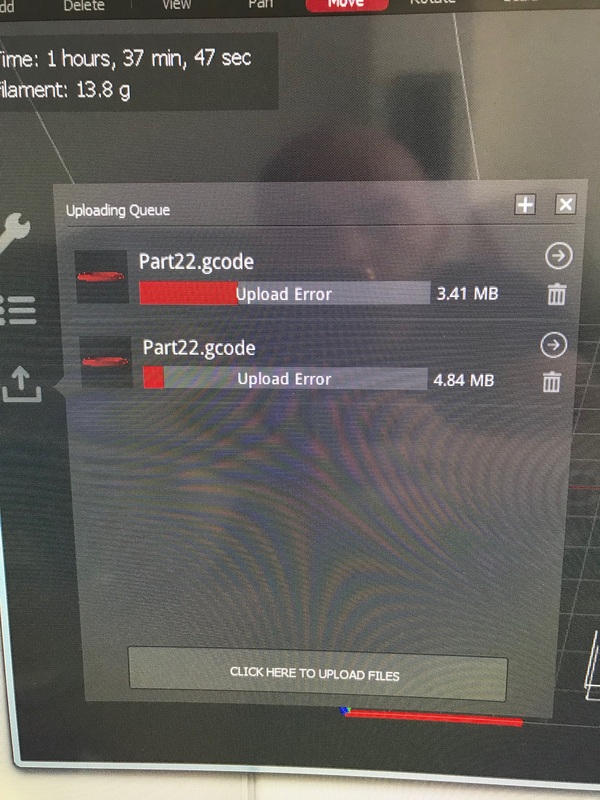 Added Camera function for Pro2 series- Sadly, absolutely only a Pro2 series feature. This is apparently able to detect some hidden configuration file that defines a Pro2 series and will not enable this feature on a non-pro. Added Allow Remote Access without Password-added feature, but uses the SSH password and only prompts the user once on first connect. It appears either ideamaker stores that credential and never again prompts the user, or there are other issues with this security. Should be using a different password than SSH. Added German Language- New requested "feature"
Fixed long-time print resume loading issue after pausing by code M2000- Bugfix- although really, I'd like to see a link to a discussion about the original fault to better understand this and what the "fix" is. I know this would make Raise 3D unhappy, but I think here is a problem. OK, so some of these are bugfixes, some are new features. Users have been asked to format bug reports, but the issue here is, other than a lengthy forum topic, in some cases, we users have NO idea what bugs have been found or reported. Next, we have no idea what features are approved to be added. If you want our help, then what you should be doing is posting both, a bug list and a feature list, and comments for status. This is all part of stepping up the game here on proper software development process- proper beta testing, proper feedback from the customer. Last edited by Stanislav on Fri May 18, 2018 1:29 pm, edited 4 times in total. This might not be firmware specific. I noticed this with the last version of ideamaker. Had to turn on and of the network settings on the printer. And could get annoying if pressed for time. Manually selecting a specific update file will be a little hard to achieve under the current software structure. But we will try to achieve in future. We are currently working on Extruder Offset on Touchscreen firmware for N series printers. Will release in next version. For the password request, have been already added into developing list. About the hardware upgrade kit for N series printers, we will release some news to all soon. Would you like advise which version of ideaMaker you are currently using to remote control the printer? And please try disable Allow Remote Access without Password under Privacy and Security and try upload again to see whether it can help or not. Do you mean that after print stops, the bed just stop at the stopped height but not home to origin height before the next print? No ma'am. The Bed does not stop at the stopped height, the bed moves down to about the middle of the available Z. Almost as if it were intended to offer our hands more room to remove the model from the bed. Casale8 wrote: No ma'am. The Bed does not stop at the stopped height, the bed moves down to about the middle of the available Z. Almost as if it were intended to offer our hands more room to remove the model from the bed. I have the same observation. It is 4 inches lower than before the last update.